The Spring Rapid was held over 6 rounds across two nights ( the 20ths and 27th of August). Time control was 25+5 and there was a single grade for the whole club (just over 70 players). This year was notable for the larger than usual number of players taking a half point bye in the 3rd and 6th round. Less than 20 players out of the field of 70 played all rounds. After three rounds only Alexei Kulashko and newcomer Stephen Peters were on 3 points. Alexei won in their game in round 4 but lost to Ben Hague in round 5. Going into round 6, there were 3 players on 4.5 ( Ben Hague, Mike Steadman and Alphaeus Ang) but they all went home and took half point byes. 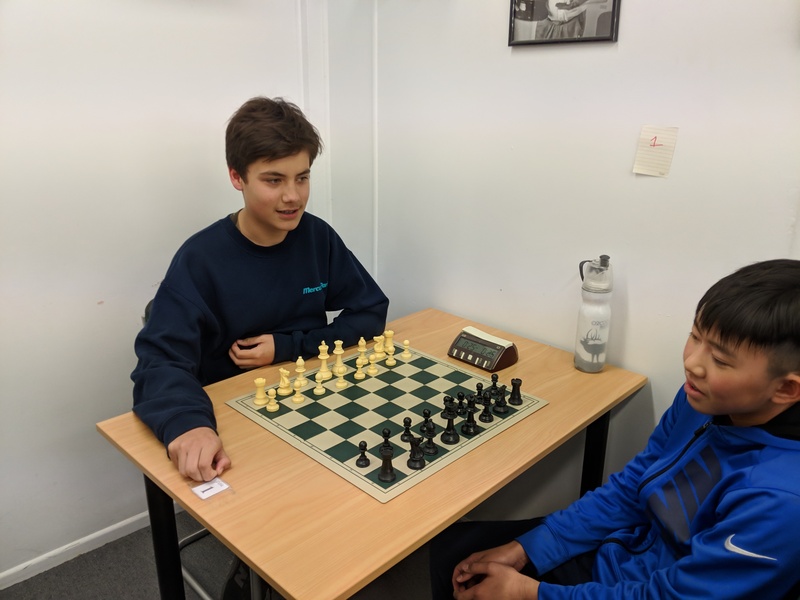 Alexei Kulaskho, Philli Park-Tamati and Boyuan Zhang were the only ones on 4 points but Alexei also took a bye. That left Philli Park-Tamati (ranked 29th) and Boyuan Zhang (ranked 44th) to play on board one for a chance at 1st-equal. Both had upset higher rated players. The result was a win for Philli after a close endgame.